Indeed, the first person to believe in Allah as the Lord and in Muhammad (sallallahu alaihi wasallam), as the Messenger and Prophet was his wife, Khadeejah (radiAllahu anha). She was the fist person to support the Messenger of Allah [sallallahu alaihi wasallam] She strengthened him, assured him and consoled him. She received the Prophet and his message with her big heart. After her, many women embraced Islam, not in compliance with their husbands’ will or out of tribal solidarity or in obedience to their fathers’ command. Rather, these women, in most cases, embraced Islam independently, out of conviction and in demonstration of their right of choice. If there are men Companions, there are also women Companions. 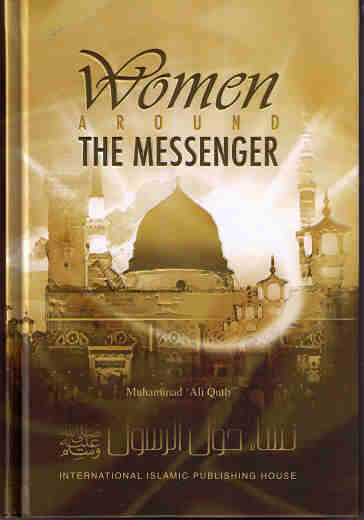 If there are ‘Men around the Messenger’ there are also ’Women around the Messenger’. One of the diseases of our contemporary age with all its achievements and setbacks, with its scientific breakthrough and cultural defects is that the woman has been turned to a ‘doll’ or something like a doll in all the senses of the word. I do not think that I have exaggerated in this. Take for instance, the advertisement of any product in any of the mass media, the woman is disgustingly, cheaply and flimsily dragged into this advertisement even if the product is just the necktie that men wear. This is in addition to her being used as an instrument of sexual arousal. This is just an example of how the woman has been reduced to a cheap commodity. There are other uncountable examples of this, facilitated through Satanic hands. It is unfortunate this horrible disease has crept into the midst of the Muslims under the guise of cultural interrelation and in total disregard for our purity and distinguishing values and for many other uncountable reasons.